"Before this initiative we were confined to our homes. We couldn't go out." 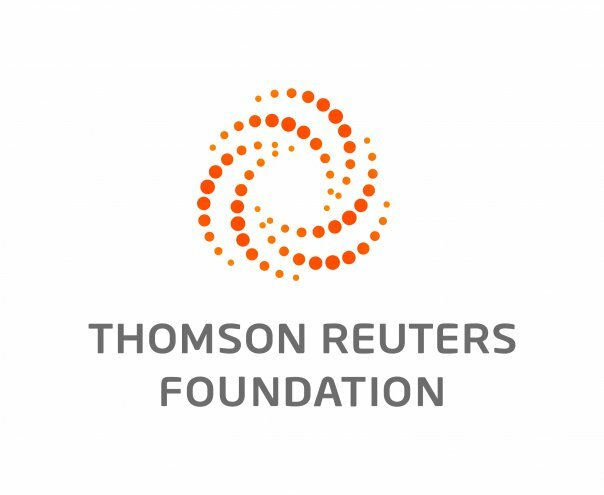 GARANGO, Burkina Faso, March 31 (Thomson Reuters Foundation) - Sitting under the shade of a tree, a group of women drink traditional beer to escape the searing 40-degree-Celsius heat. Perched on a massive tricycle, one woman passes a wooden bowl full of beer to her neighbour, whose eyes are closed. The 30 women gathered in this town of central Burkina Faso are all blind, paralysed or suffer from epilepsy. "I used to crawl on all fours, dragging myself on the ground to get to school," said Ela Bonkoungou, who since contracting meningitis at the age of five has been paralysed in both legs. 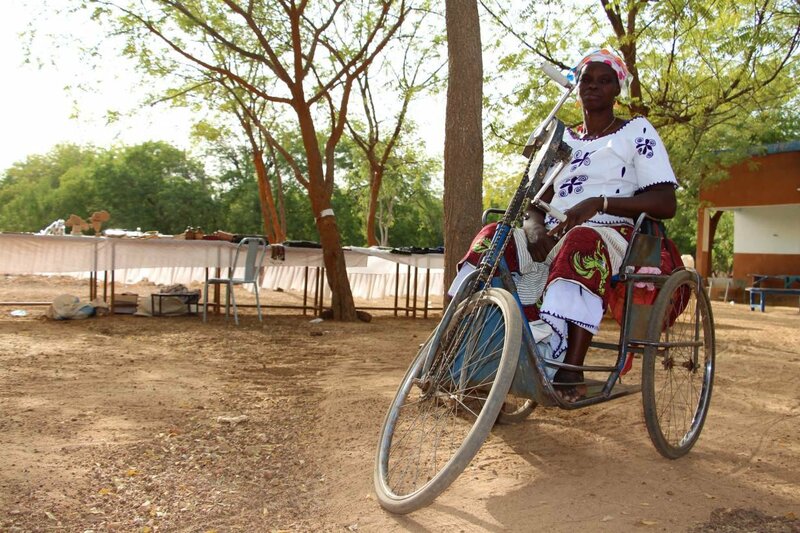 Disabled people make up more than 10 percent of the population in Burkina Faso, and are more likely to live in poverty and struggle to find jobs, according to Light for the World, an international disability and development charity. Rights activists say the situation is even worse for disabled women, who face additional stigma, even from their families. But change is afoot. In 2010, a group of 70 disabled women started the town's first union for disabled women, with the help of a local community centre. The women meet several times a month at the Garango centre to discuss anything from jobs to their children's education. The union, with help from Light for the World, aims to facilitate disabled people's access to education, jobs and health and social services – an approach developed by the World Health Organization, UNESCO and the International Labour Organization, and known as "community-based rehabilitation". In the centre's courtyard, wooden tables showcase basketwork, bright wrap skirts, bronze statuettes and vegetables such as tomatoes, onions and cucumbers. "We sell the items to visitors, which gives us money to pay for rice and millet at home," said Bonkoungou, the association's secretary, sitting proudly on a massive metal tricycle. Thanks to a local Catholic mission, she and other paralysed women from the association have received free tricycles, which allow them to move freely on the region's sandy roads. The tricycles normally costs 150,000 CFA francs ($250) each, almost four times the average monthly income per capita as estimated by the World Bank. "But there are still domestic tasks we cannot do, like fetching water from the well," Bonkoungou added, with other women in the group nodding behind her. "As disabled women, we face more problems than men. Here in Garango, all our husbands have taken a second able-bodied wife, to do what we can't." To become more economically stable and independent, the women in the committee have created their own micro-credit system. Each member pays 3,000 CFA francs ($5) when joining the committee, plus an annual subscription of 1,000 CFA francs ($1.50). The management committee designates the women most in need, who can benefit from a loan of up to 25,000 CFA francs ($40), while all members receive training on running their own business. "As long as we are together, we can forget about our disability," said Bonkoungou. The disabled women hope the initiative can help them fight rampant stigma. According to Gaston Gansamé, supervisor of the Garango centre, disabled women in Burkina Faso have to cope with prejudice on a daily basis. 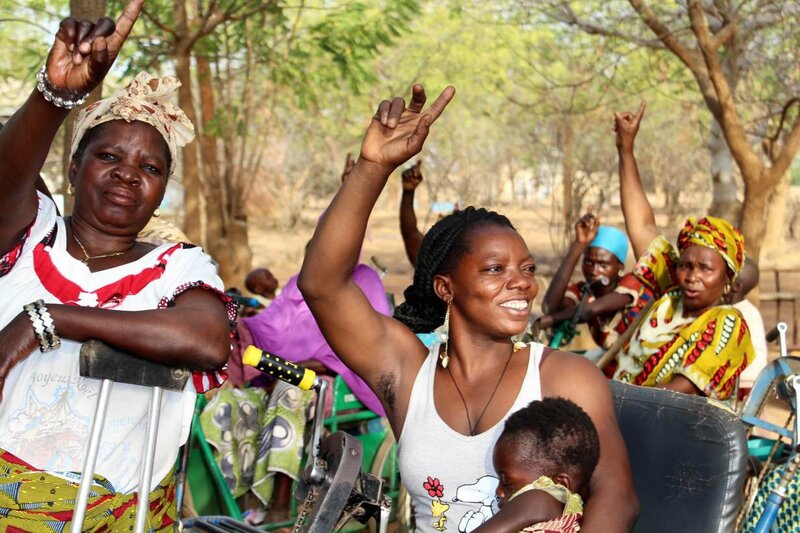 "Many Burkinabé think God created the women's disability," he said. "Some think the women aren't even able to procreate." Salamatou Bansé, another woman affectionately nicknamed "the old lady" by the rest of the group, cheerfully waves her crutch. "Before this initiative we were confined to our homes. We couldn't go out," she said. But perceptions of disability are changing in Garango, Gansamé said. "The meetings and trainings, as well as home visits we make to families with disabled members, are helping portray them as able and independent women," he added. Light of the World estimates it has provided support to over 6,000 disabled women in Garango and the rest of the country. Elie Bagbila, the charity's representative for Burkina Faso, said helping disabled women - and disabled children, who are often left out of education systems - helps ensure that "every single Burkinabé can be an actor in their country's development." The women say they can feel the change. "Before, we were ugly. Now we have become pretty," Bansé said.